Last Thursday was a very special day. The annual Beattie McGuinness Bungay Woo-Off. Where for one day only the whole agency transforms to a rose-scented, chocolate covered, serenading carnival of competitive-loving. Not because we love each other but because we all want to win dinner for two at Hawksmoor. 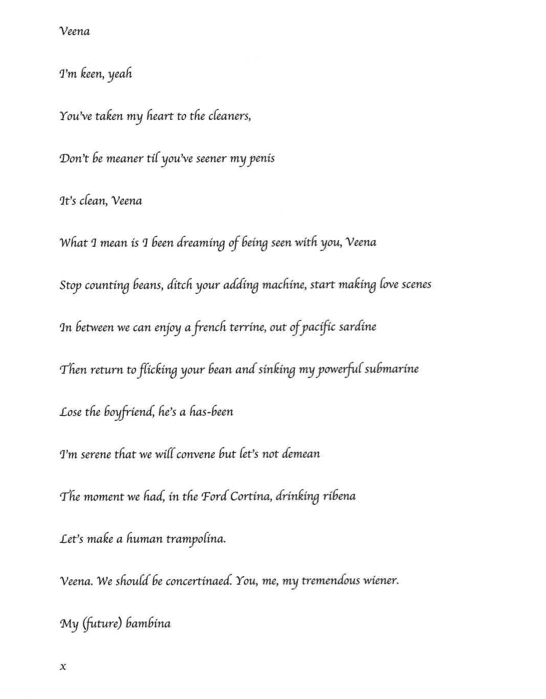 The winner was a very filthy poem by the comically genius fingers of ‘Jamie I’. 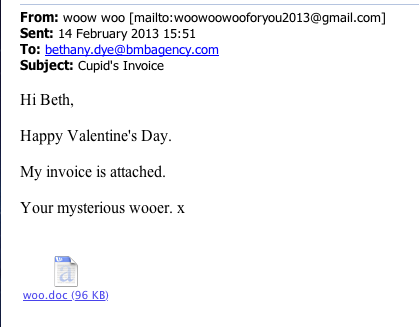 But our personal favourite was this email from ACTUAL CUPID himself! 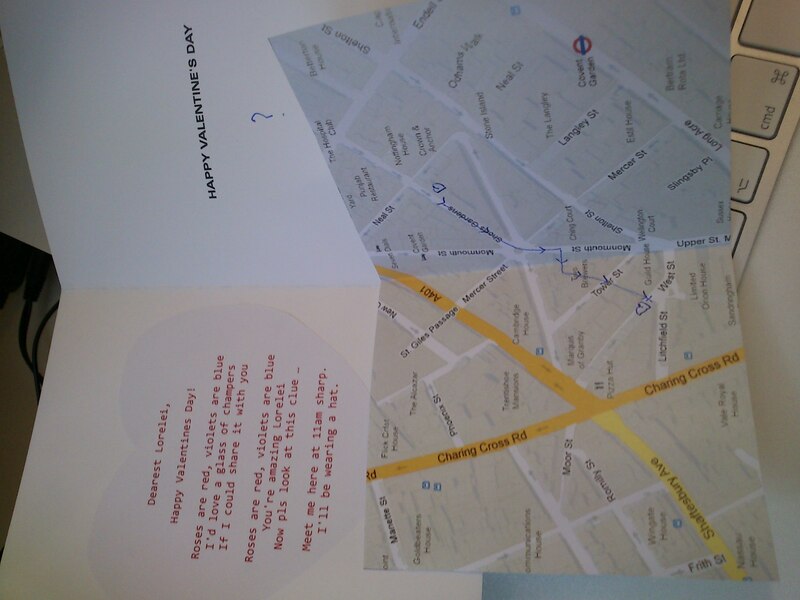 Then there was this one which I was chuffed to receive in addition to a red rose and some Hotel Chocolat: A cryptic map and poem inviting me on a secret date with a man in a hat – a glass of bubbly at the Ivy no less. Update update: Cupid has just come forward and identified himself! 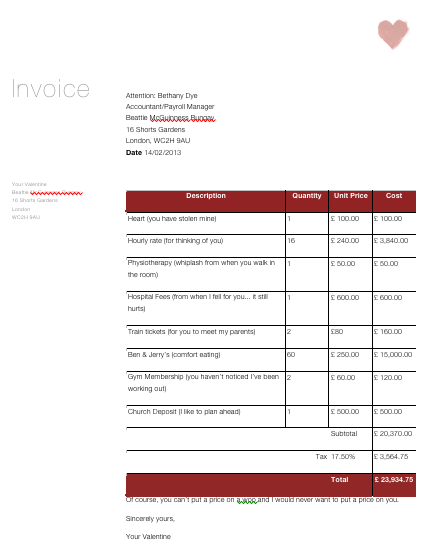 We can now reveal that the world’s most romantic invoice (TM) was penned by Charlie Rowat, one half of the placement team Charlie and Han that we have with us at the moment. What I probably should have said was that the email was very cleverly targeted to its audience, in that the recipient was Beth, our resident Head of Dealing With Invoices. So it was particularly fitting. Incidentally Charlie and Han’s last day at BMB is this friday. They are a brilliant, talented team with tactical ads coming out of their ears. They’re also really, really nice people.